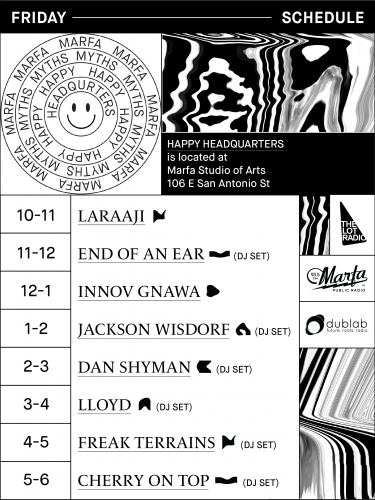 Marfa Myths is this weekend! 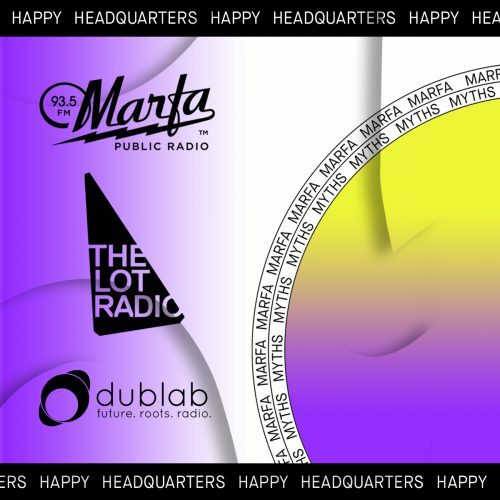 We’re excited to share that we’ll be collaborating with Marfa Myths, The Lot Radio, and Dublab again this year. Marfa Myths is an annual music, visual art, and film festival founded in 2014 by Brooklyn-based record label Mexican Summer and contemporary arts nonprofit Ballroom Marfa. During Marfa Myths, the two organizations bring together emerging and established musicians and visual artists to work creatively — and collaboratively — across disciplines. Marfa Myths presents performances and exhibitions in unusual venues across the surreal West Texas landscape, attracting guests from all over the world. On Friday, April 13 and Saturday, April 14, Marfa Public Radio will host live DJ sets and performances outside of the station. From 11 am – 12 pm, End of an Ear Records will dj during the Oldies show. Julie Bernal will return with regularly scheduled programming at 12 pm. For these two hours, there will be no top of the hour newscast. 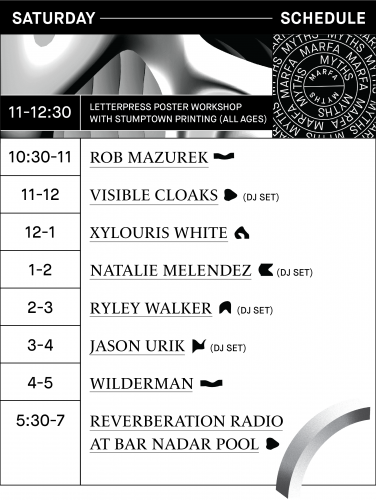 We’ll broadcast local dj sets from 1 – 3 pm on Saturday, April 13 in lieu of World Cafe. All other performances and DJ sets will happen outside of broadcast. During the weekend, performances and DJ sets with be live streamed through our Facebook page. We’ll interview artists from Ballroom’s latest exhibition, Hyperobjects, curated by Laura Copelin and Timothy Morton. The interview will air on Friday, April 13 at 9 am during West Texas Talk. Marfa Myths headquarters will be stationed next door in the Marfa Studio of Arts building. You can pick up your festival swag and shop for rare and eclectic records at the End of an Ear pop-up shop all weekend long. This entry was posted in KRTS Events, KRTS Music and tagged Ballroom Marfa, Marfa Myths, Mexican Summer, the lot. Bookmark the permalink.